The attempt in this book has been to give a text to the mathematical student on the one hand, in which every physical term beyond mere elementary terms is carefully defined. On the other hand for the physical student there will be found a large collection of examples and exercises which will show him the utility of the mathematical methods. A text-book for the use of students of mathematics and physics, taken from the course of lectures on Vector Analysis delivered by J. Willard Gibbs. Numerous illustrative examples have been drawn from geometry, mechanics, and physics. 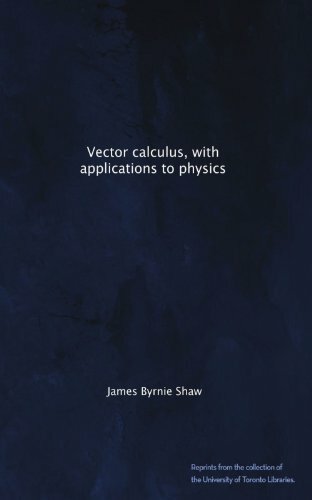 Contents: Addition of Coplanar Vectors; Products of Coplanar Vectors; Coaxial Quaternions; Addition of Vectors in Space; Product of Two Vectors; Product of Three Vectors; Composition of Quantities; Spherical Trigonometry; Composition of Rotations.